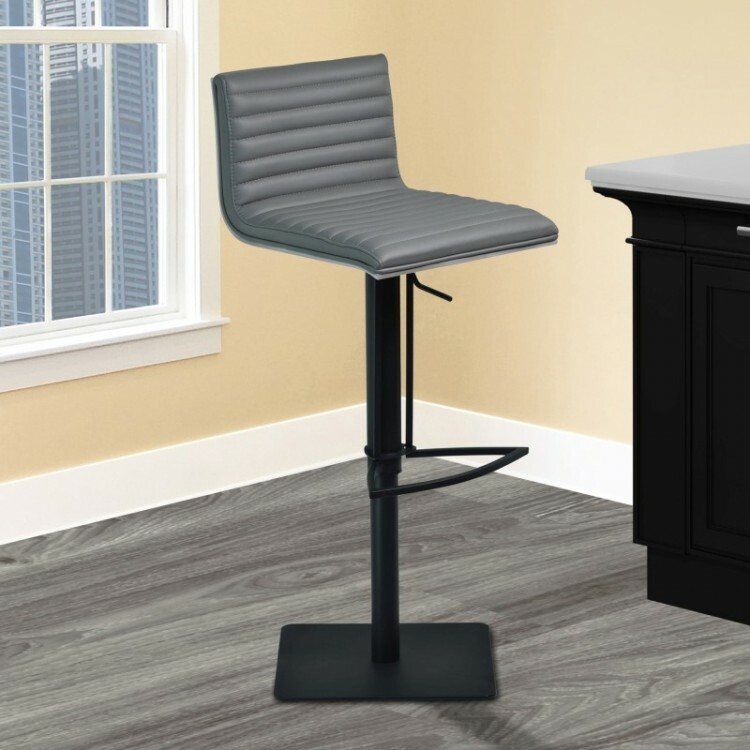 Description: Contemporary design enhances your kitchen or home bar design. 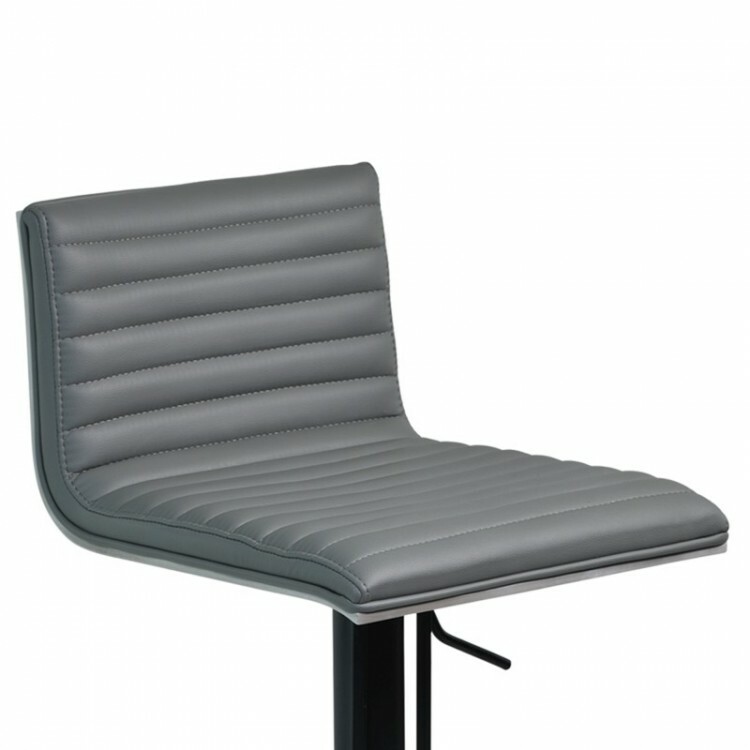 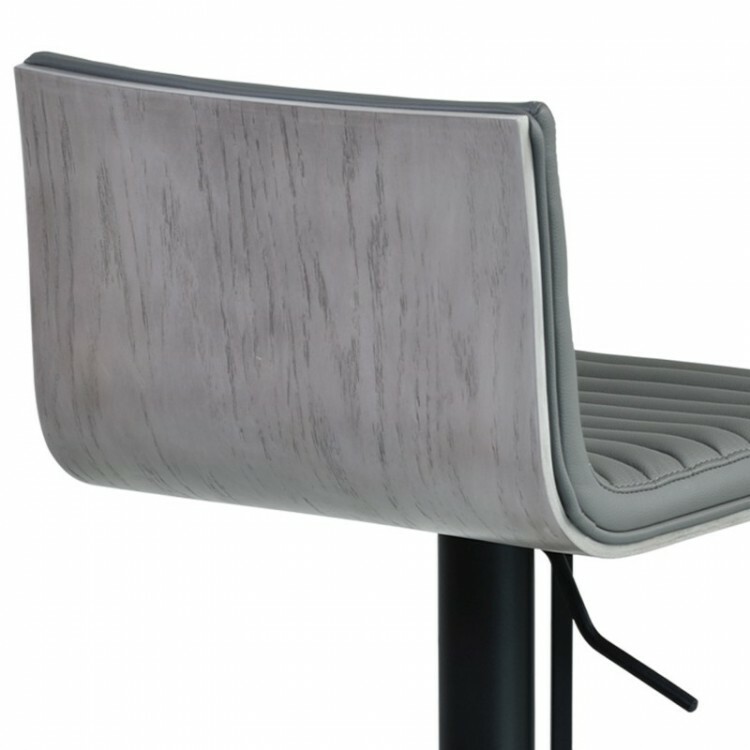 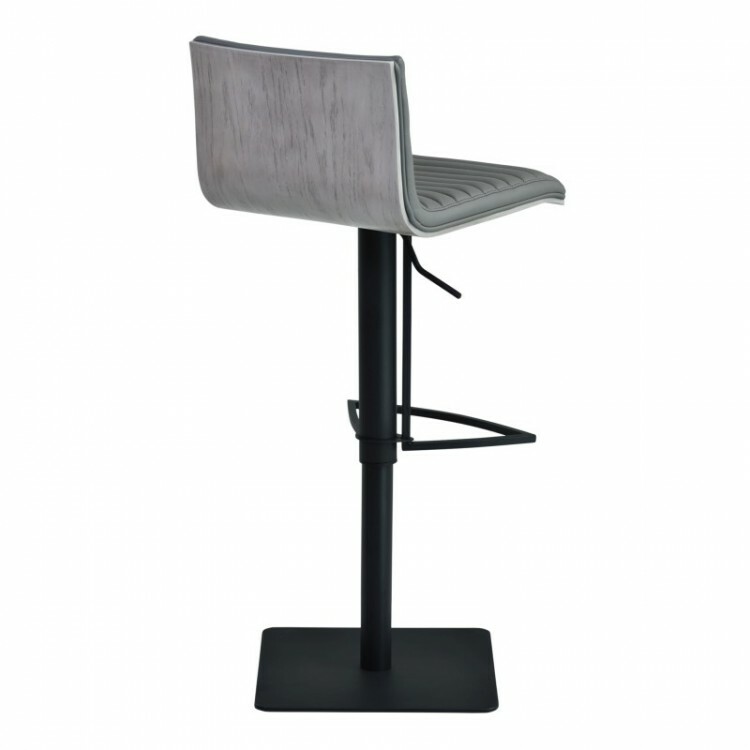 The Cafe adjustable barstool combines Gray Faux Leather wrapped seat and Gray walnut veneer back and finished in Black Metal. 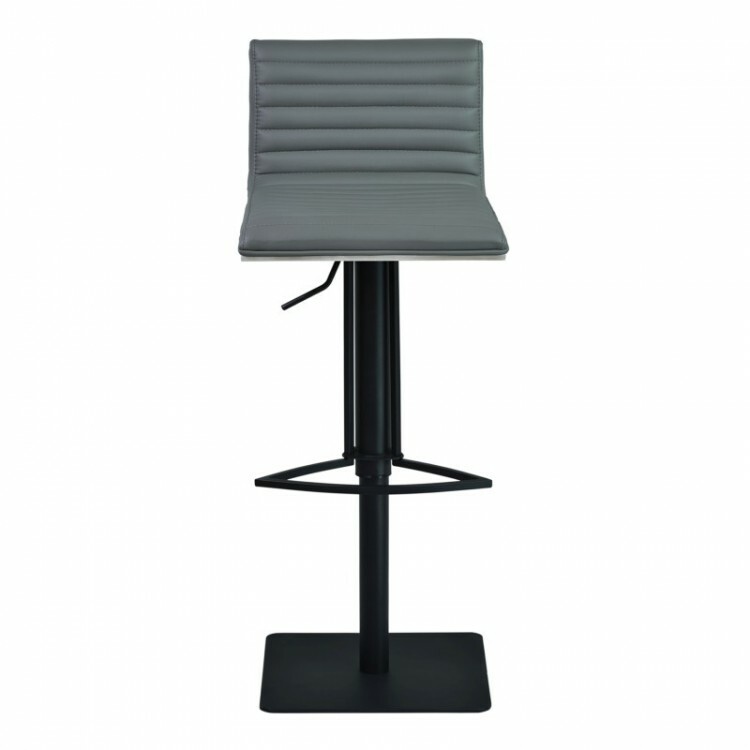 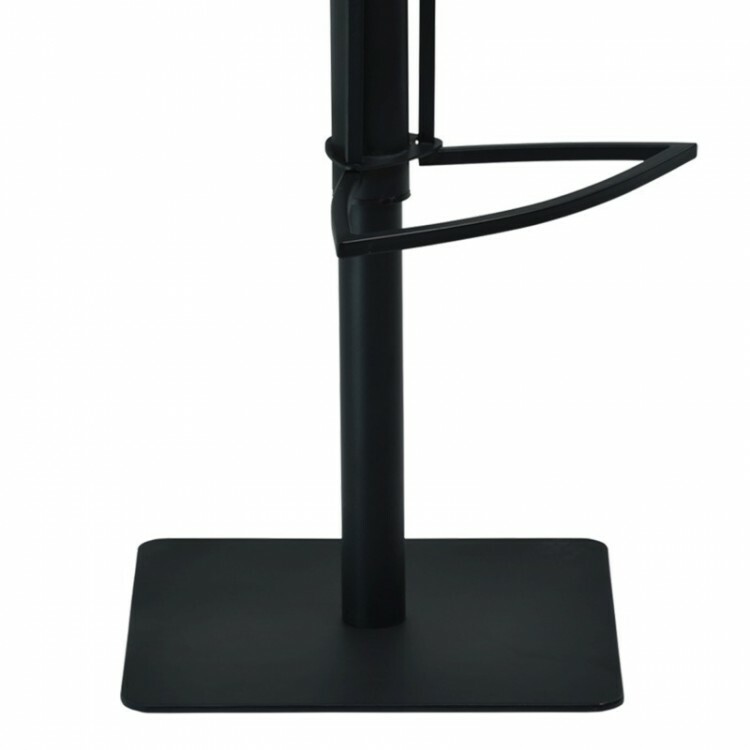 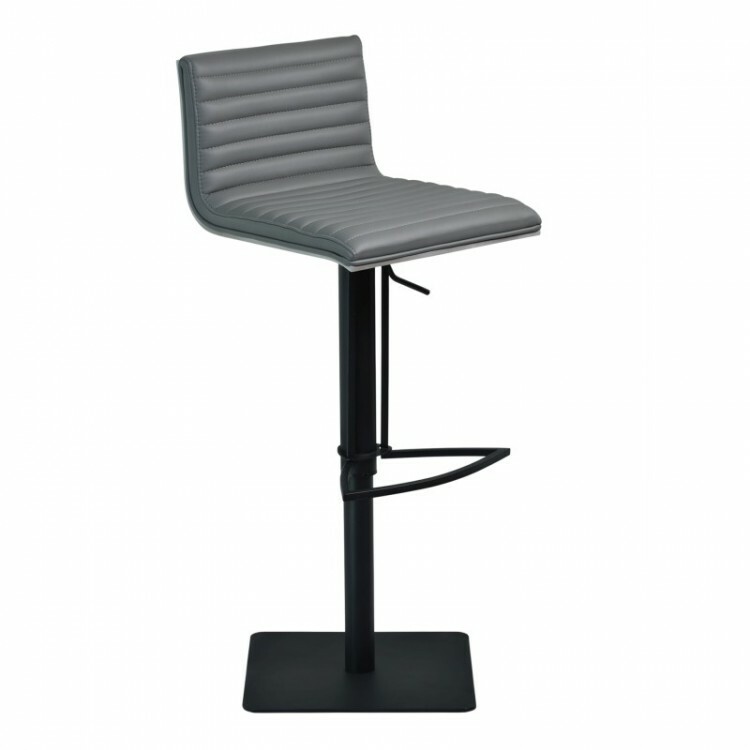 The Cafe modern barstool is complete with adjustable height and a swivel base. 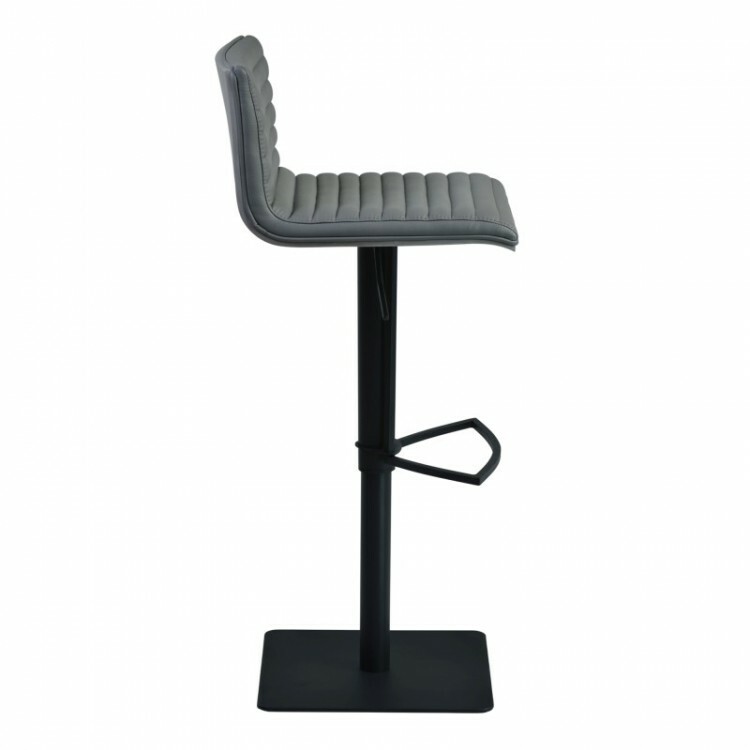 With its modern design, this barstool can add just the right touch to a contemporary bar area.